Try the best tasting gourmet popcorn on the market today, grown to be of the highest quality probiotically without chemicals.This popcorn is grown from hybrid seed, but not genetically altered (GMO) seed. Many ask what does probiotic mean? Probiotics are organic materials that are used to increase natural biologic life in the soil in order to make the minerals in the soil available to the plant roots. This keeps the plants healthy enough to naturally resist insects and disease. Many people take similar probiotics daily to promote healthy digestion and general health.While no popcorn is 100% hulless, Hilger’s popcorn is as close as it comes! Popped traditionally on the stove or in the microwave, it is a fluffy family treat. 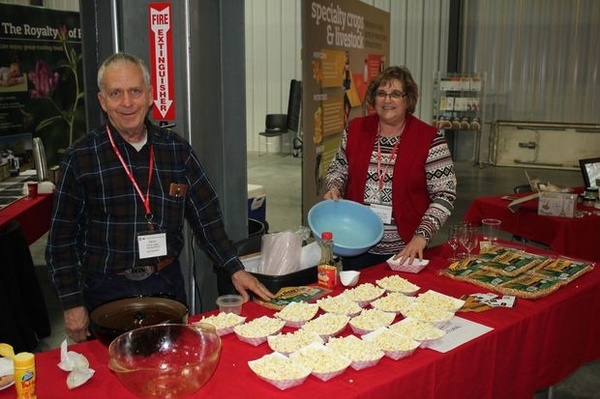 Daniel and Mary Jane Hilger grow their popcorn on their family’s 50 acres outside of Bellwood, Nebraska. Above you’ll see how Daniel and his grandchildren love to enjoy the popcorn!